Could Too Much Screen Time be Harming Your Child’s Posture? In today’s technologically-driven world, people spend countless hours using mobile devices such as cell phones, tablets, and laptop computers. This is especially true of children. Unfortunately, however, continued use of these devices could potentially precipitate health issues like posture problems. When young people use mobile devices, they often do so in awkward positions such as lying on their stomachs or slouched over. Remaining in such positions for extended durations can have significant adverse consequences on the neck, back, and spine. Some doctors opine that many young people do not sit or walk straight and that excessive use of mobile devices exacerbates an already bad situation. 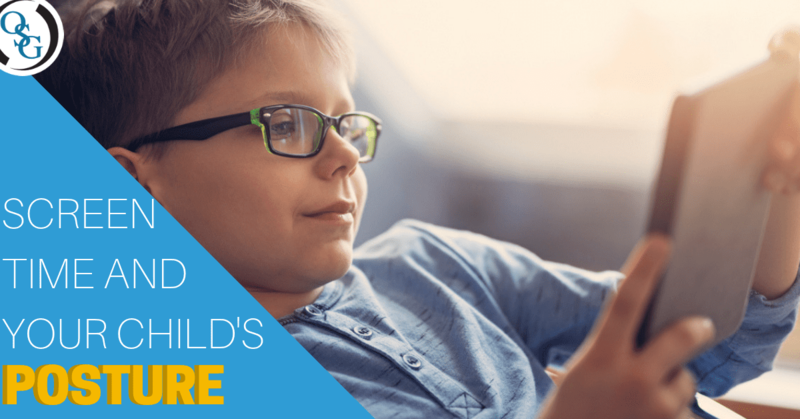 Excessive mobile device usage can contribute to several physical ailments that might impact young people either as they progress into adolescence or during adulthood. Additionally, bad posture may also precipitate other health issues like poor circulation, digestive problems, and respiratory deficiencies. Prohibiting phone use during meals and requiring mobile devices be turned off prior to bedtime might prove effective in limiting a child’s usage. Encourage them to partake in activities such as sports or identifying a hobby that can occupy their free time. At Orthopaedic Specialty Group, we offer a wide variety of treatments to help our patients deal with conditions such as chronic back pain, strained ligaments, chronic pain, bones spurs, and more. Contact us today to schedule your appointment (203) 337-2600!